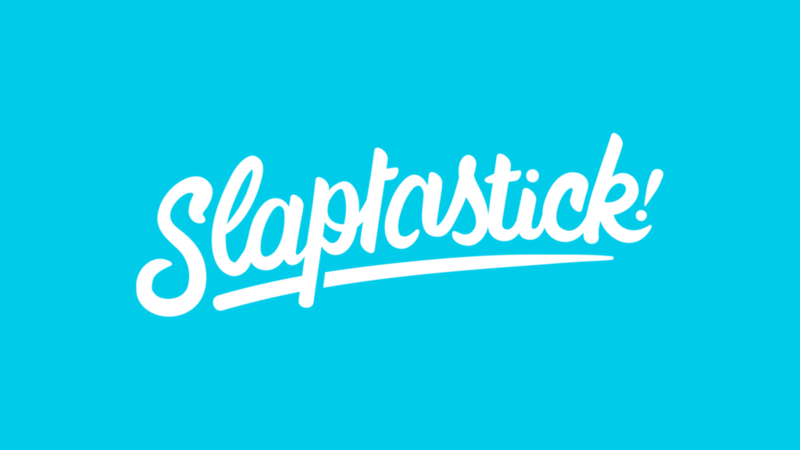 A few months back I was asked by Slap Stickers to do a fun reimagining of the brand. After some discussion we decided to go with a handmade script lettering approach. Whenever I get the opportunity to do some custom scripts I cannot refuse. It’s one of those design muscles that can never be flexed enough; in my opinion. Here is a my speed drawing/process video for the project. You can see how I take the sketch all the way to final vectorization on my Wacom Cintiq drawing tablet. Here is a better look at the final piece. Kinda Funny speed drawing process. As a person who works from home a few days a week I find myself in need of some sort of companion. Whether that companion comes in the form of a podcast, audiobook or youtube series. The addition of white noise or people talking in my ear as I work makes the days breeze by. This speed drawing video is me putting my spin on the Kinda Funny youtube series logo/typography. Kinda Funny follows a group of friends who sit around a table talking about video game news, movies and other pop culture related events. It’s a great listen as you plow through a mountain of work while they go on rambling about the finer details of superhero lore. Feeling very much like you are just sitting around the table with them eavesdropping in on a group of your peers. I hope you enjoy this installment of my speed drawing series.